These are in no particular order, because asking me to order books is near on impossible for me to do! The last thing I was expecting from this book was a cliff hanger. I literally sat staring at the page mouth wide open for a good minute or so, thinking "wh-wh-wha-WHAT?!" Cliffhanger? Yep and in the literal sense of the word as well. Possible life or death situation and I had to wait a YEAR to find out? That's just cruel. Now there wasn't a cliffhanger at the end of this book, it is the last in the series, but the ending just left me with my jaw to the floor! Lucky I had the next one waiting in my to-read pile!! I need the next book to come out NOW. I couldn't believe the ending of this one!! Leave me in suspense why don't you!! I loved this book so much, and the ending was just gob smacking! I'm going to leave this at 6 books, this is all I can come up with, which surprises me! I even went back through my read list on Goodreads and couldn't come up with any others. Teaser Tuesday is a weekly meme hosted by Should Be Reading, open your current read to a random page and give us all a little teaser! "My nightmares were what made me finally see, and accept, the truth. At first nothing in my wandering existence brought back memories of my life, nothing but the elusive familiarity of the woods and roads I wandered. But then the nightmares began." What are some books that left your mouth hanging open? What are you currently reading? Leave your answers in the comments or link me to your Tuesday post! Very haunting! I am still reading Georgette Heyer this week. Here is my teaser. Thanks for stopping by and commenting on my list! Following you back! I keep going back and forth about The Body Finder- is it well worth it?? I really enjoyed The Body Finder, I had gone back and forth about it as well, I have written a review of it here if you would like to check that out. I have seen a few reviews from people who didn't enjoy it as much as I did, but it wont be for everyone! City of Fallen Angels' ending left me going Oh no too. Guess Jace and Clary just aren't meant to find happiness for a while yet. City of Fallen Angels has a cliffhanger? Maybe I should wait before reading it. Great teaser also! New follower. Hereafter, was a good book. Enjoy it! I haven't read the others but I agree that the ending of Mockingjay was a real jaw-dropper! I've been wanting to read City of Fallen Angels...you reaction makes me want to more! I also put City of Fallen Angels on my list. I was screaming NO!!! at my book with the way it ended. Great teaser too. I've been wanting to read that book. YAY the Hunger Games and the Mortal Instruments! I still need to read The Body Finder. I have it I just need to read it. Very impressive choices. Great Top Ten list and what an intriguing and haunting teaser. I plan to read The Body Finder for the Dewey's readathon. I can't believe I haven't gotten to it yet. 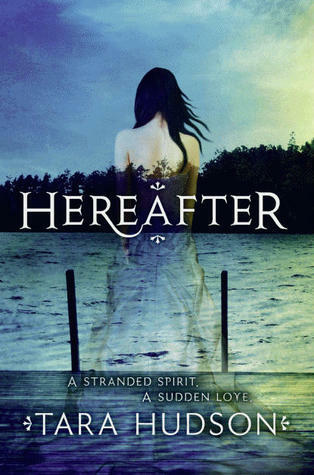 Hereafter is another book I want to get to this month. It got a lot of mixed reviews though, so I'm kind of nervous about starting it. The cover looks amazing and I think it made me expect to love it. I only hope it lives up to my expectations. That is a great tease! My TT: Mom Reads My Books!